There probably is no other place where the family gathers as often as at the dinner table. A happy or festive gathering of friends and acquaintances almost always culminates in a delicious meal. Where people enjoy company cooking takes on central importance. 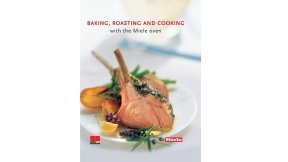 Whether delicious roasts, sweet or savoury spreads or low-calorie and delightful steam oven dishes - with recipes from the Miele cookbooks that have been specifically adapted to the functions of the Miele appliances, the most sensuous hobby in the world becomes pure pleasure! Commissioned in celebration of Miele's 111th Anniversary, "Heritage Feasts" provides a platform for the promotions of Singapore culinary tradition. Featuring 30 prominent Singapore personalities, the cookbook focuses on the link between heritage food and one's sense of history and family. 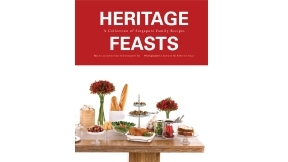 Supported by the National Heritage Board, "Heritage Feasts" also encourages the modern family to create new shared moments and continue traditions of familial feasting about the dinner table. As leading creators of top-quality appliances, Miele has naturally sought to produce the ultimate steamer for the contemporary kitchen. Even so, our commitment goes well beyond simply creating a highly functional machine with a sleek design. 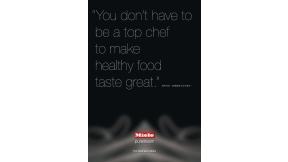 Our goal is to ensure that having a Miele steam oven in your kitchen truly expands your dining pleasure. 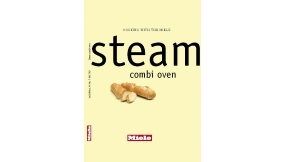 Inspired by the gastronomic and health giving potention of steam cooking, we have sought out eight of Asia's top chefs, restaurateurs and culinary educators to contribute to this book. 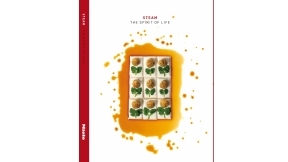 In Steam: The Spirit of Life, william Wongso (Bali), Chalida Thaochalee (Bangkok), Kinsen Kam (Hong Kong), Min-Joo Park (Seoul), Su De-Xing (Shanghai), Sam Leong (Singapore), Justin Quek (Taiwan) and Yoshiyuki Kawanishi (Tokyo) share not only their recipes, but also a little of thier kitchen wisdom. 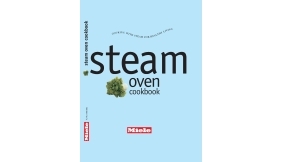 Puresteam: The Wellness Edition cookbook includes 20 nutritious recipes and caters to the most discerning and health-conscious consumer. Divided into chapters for quick reference, the sections include Beauty, Keeping Fit, Vegetarian, Healthy Pregnancies and Babies. Through this book, the author invites you to enter her world. It is a world where beauty is in everything, where no detail is too small to appreciate. Thus this is not an ordinary cookbook. It is an exploration of the mind and senses, of perceptions and emotions. The chapters — Origins of Taste, Colours of Taste, Textures of Taste and Memoires of Taste — explore the inspirations behind each of her creations, be it the unique, natural flavour of an ingredient; a distinct hue that evokes an emotion; an unexpected texture that jolts the senses; a nostalgic taste that allows the mind to wander back to childhood days. These seemingly disparate sources of inspiration and the creations that stem from them are all threaded by a commonality: a pursuit for perfection in imperfection, and an appreciation of imperfection in perfection. Welcome to Janice’s artistic, gastronomic world of flawless imperfection and flawed perfection. The 144-page literary work combines the story of Chef Salans’ journey in Indonesia, his discovery of the island’s ingredients and the birth of Mozaic Restaurant. 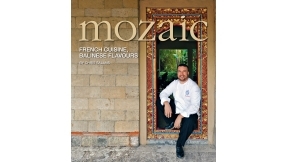 Complemented with Mozaic-style recipes and stunning photography, Mozaic: French Cuisine, Balinese Flavours introduces Balinese ingredients, describes and analyses them before suggesting relevant recipes. The book shares with the readers Chef Salans’ passion for the Balinese culture through the exploration of traditional Balinese ingredients as well as the recipes for his popular culinary masterpieces. 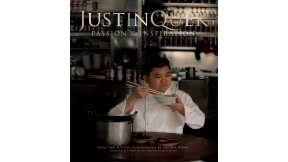 Justin Quek is widely recognised as Singapore's most important interpreter of French cuisine. 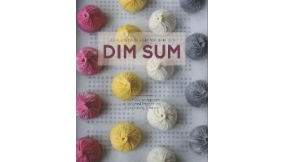 Passion & Inspiration, his first cookbook, traces his transformation from a young merchant ship cook into the culinary force credited with putting Singapore on the jet-setting gourmet's map. He is now chef-owner of one of Taipei's best French restaurants, La Petite Cuisine. Through his essays and recipes, discover what drives him, what excites him and what makes him one of the world's best chefs. Cooking food on a Tepan is a popular method of cooking in Japanese gastronomy. Teppanyaki restaurants in Japan, the United States and increasingly also in European cities enjoy a dedicated following. Fresh ingredients like fish, meat and vegetables are prepared directly in front of the guests' eyes on a hot stainless steel surface. This turns the meal into an experience for all senses. 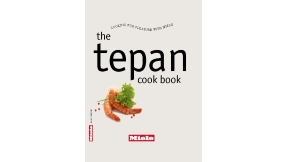 This delightful atmosphere is moving into kitchens at home with various Tepan models now available from Miele. Thanks to the large range of applications a variety of recipes from around the world can be prepared. There probably is no other place where the family gathers as often as at the dinner table. A happy or festive gathering of friends and acquaintances almost always culminates in a delicious meal. Where people enjoy company eating takes on central importance. Acquiring a Miele steam oven marks the beginning of a wonderful friendship promising pleasure, good health and endless delicious culinary adventures. In this book you will discover how easy it is yo prepare food that tastes fantastic. You cannot fail to notice how popular coffee has become in recent years all over the world. Coffee has become a symbol of cultural society and social interaction. It is a great way of getting together and enjoy each others company or just relaxing after a meal. 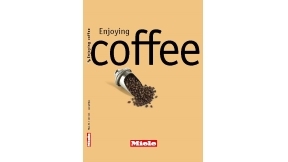 With Miele Coffee cards you can bring this atmosphere into your own home.Enjoy! More and more cooks are discovering just how versatile the Miele oven is. Whether baking, roasting, cooking or grilling, you will soon see how many ways your oven can be used. Not only is it ideal for well-loved classics such as pizza, cakes, souffles and gratins, but roasts, bread and desserts are cooked to perfection too. Features which professional cooks have long taken for granted are now increasingly available to the keen amateur, for whose creativity the sky is now the limit. Be enthused by more than 140 exclusively developed recipes which have their inspiration in cuisines from all over the globe. Be it a savoury apple tart with liver, roast veal with a prawn crust or a Creole mango gateau - it has never been so easy to achieve perfect results in the kitchen.